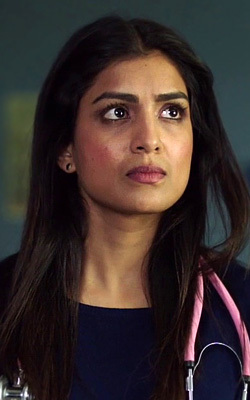 Pallavi Sharda is an Australian Indian film and theatre actress and one of Bollywood's leading ladies. She most recently appeared in the 2016 Oscar nominated film Lion opposite Dev Patel and Rooney Mara and stars in acclaimed Indian director Srijit Mukherji's feature Begum Jaan. Pallavi graduated with honours in Law, Media and Communications and French at the University of Melbourne before moving to Mumbai in 2010 to pursue a Bollywood career. Her breakthrough role came in the 2013 Bollywood film Besharam, in which she starred opposite Ranbir Kapoor. She followed this with a critically acclaimed performance in Vibhu Puri's feature Hawaizaada. Her other Bollywood credits include Dus Tola, Love Breakups Zindagi and My Name Is Khan. Pallavi made her Australian film debut playing the female lead in Australian cricketing comedy Save Your Legs alongside Stephen Curry, Brendan Cowell and David Lyons. She also appeared in Anupam Sharma's Australian feature unINDIAN, with cricketer Brett Lee. Pallavi has appeared as a panelist on the popular ABC series Q&A and joined SONY ESPN's team as their new face for the Indian Premier League in 2016. An advocate for the promotion of India-Australia relations and strengthening intercultural links between the two countries, Pallavi works extensively with NGOs in India to promote the empowerment of women. Recently the keynote speaker at the Asia Education Foundation's National Conference in Sydney, Pallavi is also on the board of advisors for E- Kutir, a socially focused enterprise based out of Odissa. Pallavi was an ambassador for 'OZ FEST' in 2012-2013, Australia's largest cultural festival in India, and in 2015 she was named Queen of 'Moomba', Melbourne's iconic cultural festival, alongside cricket's 'Spin King' Shane Warne. Pressured by her family, Tanya is an ambitious Renal registrar who sees Frankie as her main competitor, and will do anything to get ahead.